Looking for a capable, technology-packed compact SUV on a budget? 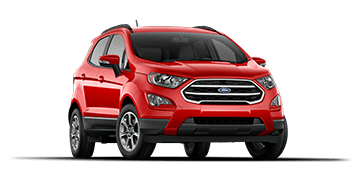 Then the 2019 Ford EcoSport is your ride. Combining the spaciousness and safe, high ride of a sport utility vehicle with the pep and ease of a hatchback, the 2019 Ford EcoSport is an excellent option for those getting behind the wheel of their first vehicle.  Learn more about the Ford EcoSport, available at Edmonton’s favourite Ford dealership—Team Ford. What the EcoSport lacks in size, it more than makes up for with its convenience and capability. Four different trim levels offer a wide variety of options, and you have the choice of adding four-wheel drive to any trim creates a vehicle ready to tackle Edmonton’s long and unpredictable winters. The biggest change for the 2019 model, on an already young model, is a slew of formerly optional features that now come standard. 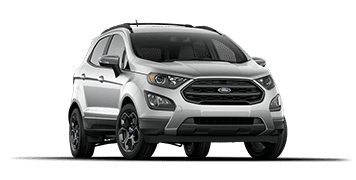 A standard 1.0L EcoBoost® engine provides straightforward no-nonsense performance and exceptional fuel efficiency, while the available 2.0L engine found in the EcoSport SES trim builds upon that performance. Signature LED lighting will illuminate the path for any adventure you embark upon, even if it’s just leaving the city limits to stargaze through the available power moonroof. 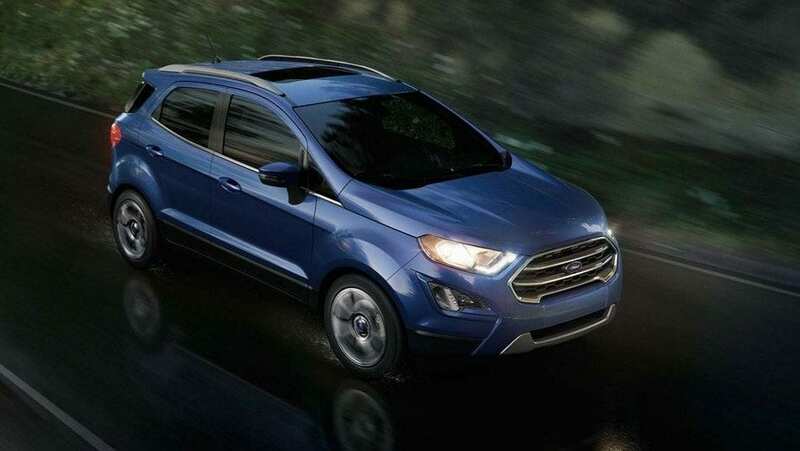 The 2019 EcoSport contains a multitude of technological advances that provide both safety and connectivity. AdvanceTrac® with Roll Stability Control provides next level command over finicky roads, while Ford’s BLIS® with Cross-Traffic alert provides excellent coverage around your entire vehicle. 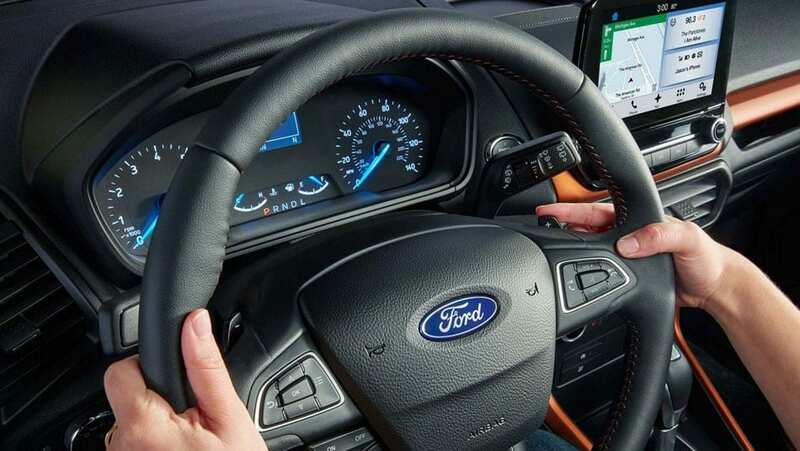 On the infotainment side of things, an available 8-inch SYNC® 3 touchscreen and available FordPass Connect™ Wi-Fi hotspot for up to 10 devices will keep you connected and entertained. A 1.0L EcoBoost® engine with Auto Start-Stop technology provides turbocharged, fuel-efficient performance. A standard 6-speed SelectShift® automatic transmission provides smooth shifting for even smoother sailing. The combination of Intelligent 4WD and a direct injection 2.0L TI-VCT engine puts the sport in EcoSport. Premium 17-inch stainless-painted aluminum wheels give the already handsome EcoSport an extra dash of flair. 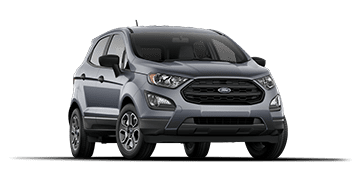 If you’re looking for an economically-priced compact crossover with tons of capability and personality, with a dash of responsibility and fuel efficiency, then the 2019 Ford EcoSport —available at Edmonton’s very own Team Ford— is the vehicle for you. Book a test drive today!